This is the very beautiful Cassie, a three year old mainly white with black and Tan patches German Shepherd Cross. Cassie is the size of a German Shepherd, she has a German Shepherd shaped head with pointed ears and has the loyal character of a German Shepherd. 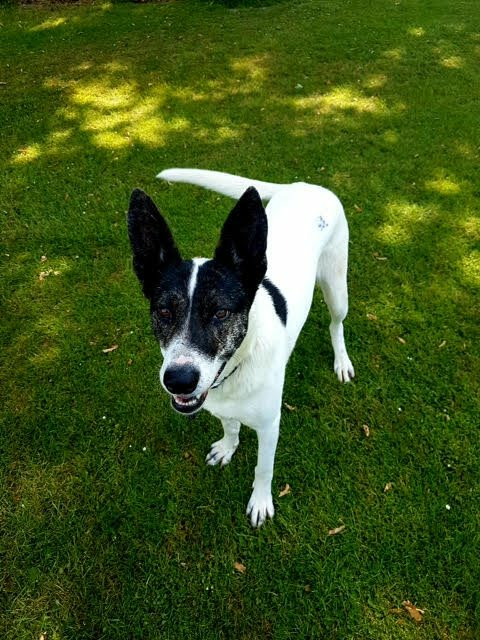 She is currently in kennels near Chelmsford, Essex. 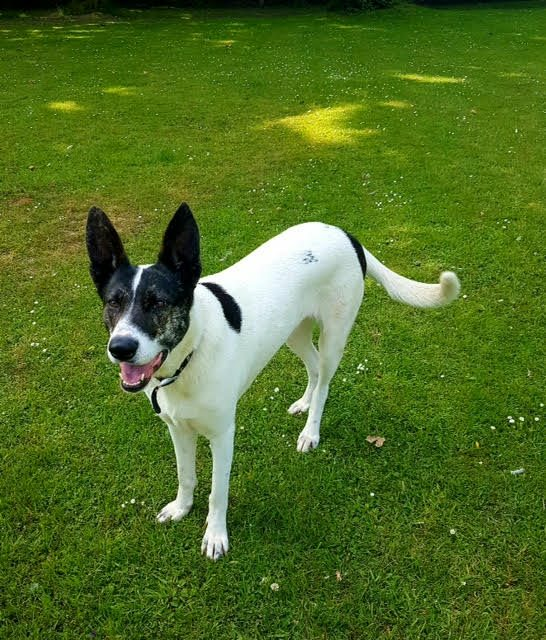 Cassie has had a difficult start in life, but has now begun to take everything in her stride having been socialised with as many people as possible. She is such a gentle girl and she follows me round my paddock in the mornings just staring up at me the whole time. Despite being a big girl she just wants kisses and cuddles and with time and kindness she would show the same loyalty to her new owner. Although she has spent sometime in a foster household he hasn’t had much socialisation in the big outside world. Since being in kennels she has got used to a lot of different people and is beginning to enjoy the contact and interaction with my staff. She is very gentle and has a kind soul and she loves to be pampered and enjoys a good groom which is often needed as she loves nothing more than having a good play in my paddock with her friend Lilly. 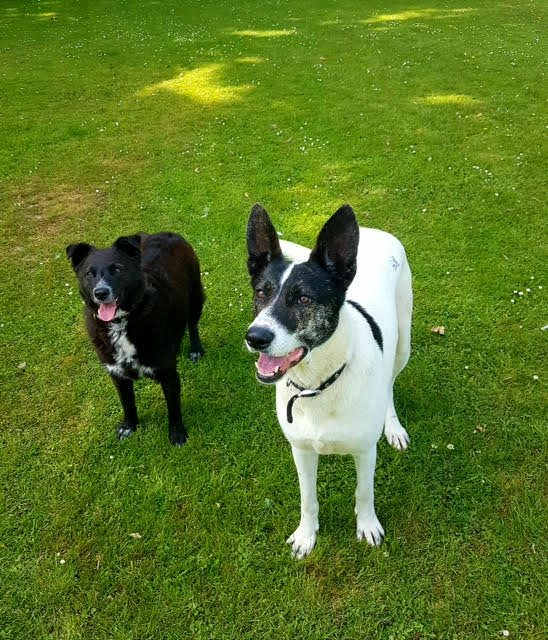 Cassie’s brother and sister have now found their forever homes and it’s now Cassie’s turn to find happiness with her own family. Cassie is great with all other dogs big or small and is fine with cats. Cassie is especially gentle with little dogs but if anything annoys her too much she isn’t frightened to tick it off. She never shows aggression, she just tells them off as a mother may tell off a naughty child. She has a huge heart and does not have a mean bone in her body. When she first came to us, she was terrified of strangers initially and it has taken a good six months to help Cassie except new people and not be frightened of them and although she was really worried by her new surroundings she was still really gentle and showed great loyalty to anybody that showed her kindness. Cassie will bring great joy to anybody who is willing to offer her love and a comfortable home. Cassie will need ongoing socialisation but she is a clever girl and even now she will come in from the paddock whenever she is called. She is an absolute sweetheart and just wants her forever home. Cassie would enjoy having a doggy companion but if her new owner is home most of the day I think she would be happy as an only dog. Cassie is house trained. 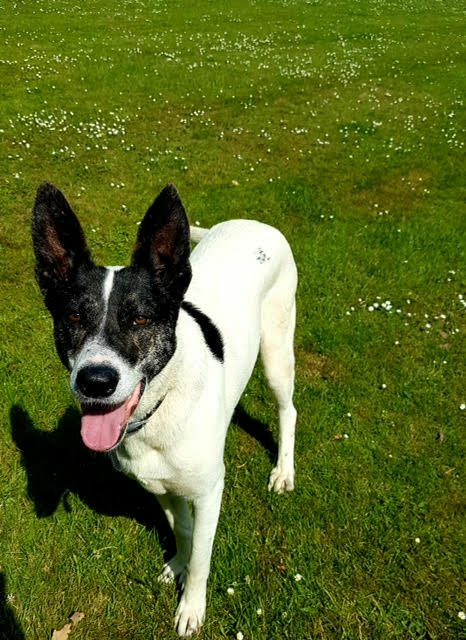 A home with young children would not be suitable for Cassie however older children and teenagers who are used to handling dogs and have had previous experience around dogs should be fine. 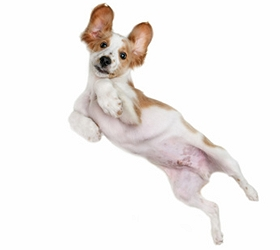 Cassie has a pet passport and is microchipped and vaccinated.